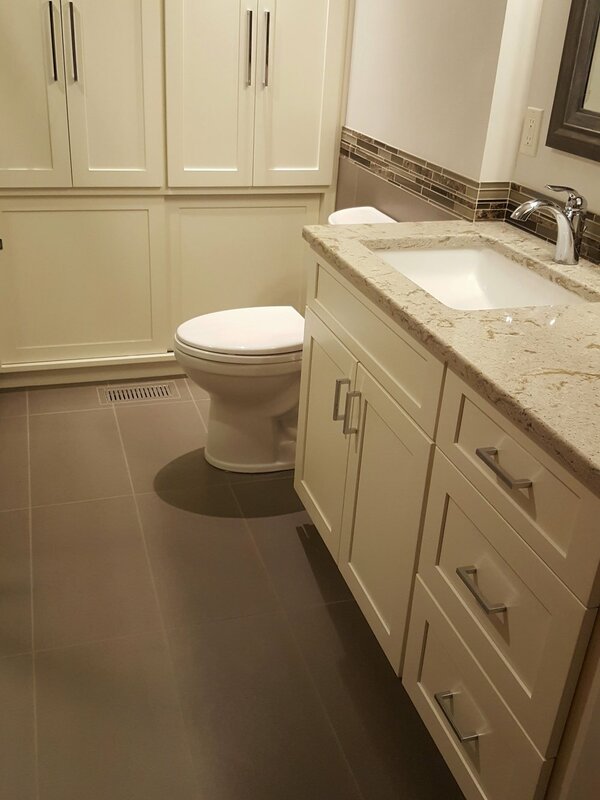 Tile or solid surface? Laminate or composite? Visit our showroom today and let us help you find just the right counter-top to fit your needs! With so many counter-top options available in today's market we know that making a decision can be overwhelming. With 30 years of experience as a licensed contractor we have an extensive knowledge base of available products, and have many product samples to peruse in our spacious showroom, let us help you find the right product for you needs today! Some of the most durable material you can buy, solid surface, engineered quartz counter-tops are a top choice for many of our clients. Comprised of 93% natural quartz this man-made surface is extremely durable and does not require chemical sealants as natural stone counter-tops do. Fabuwood cabinets are competitively priced, assembled in the USA, and offer high quality, solid wood cabinets in a plethora of classic and contemporary styles. Click the button below to visit Fabuwood's website. Sometimes engineered quartz counter-tops are just not in the budget, we also proudly offer the Wilsonart brand of solid composite counter-tops as well as a stunning array of laminate choices. One feature many of our customers like is the integrated sink shown in the photo above, there's a smooth transition from the sink to the counter, offering a sleek, clean look. Click the button below to visit Wilsonart's website and try out their fabulous room vizualizer feature!